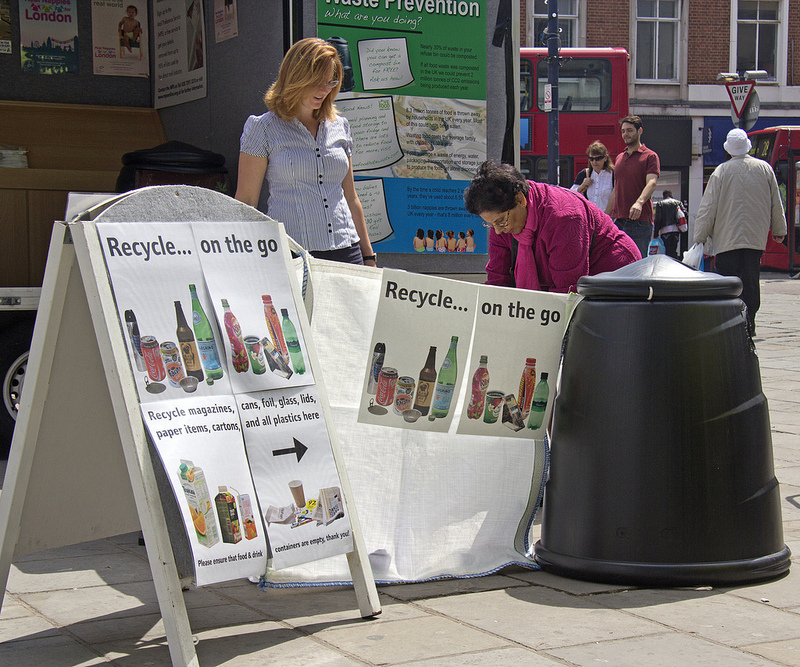 June 18th – 24th was National Recycle Week and was an opportunity for the Environment and Community Development (ECD) Team to promote recycling to the residents of the borough. Social media was used to send out endless tweets giving facts about plastic bottles (this years theme) as well as other facts to encourage people to recycle more or even start recycling for the first time. 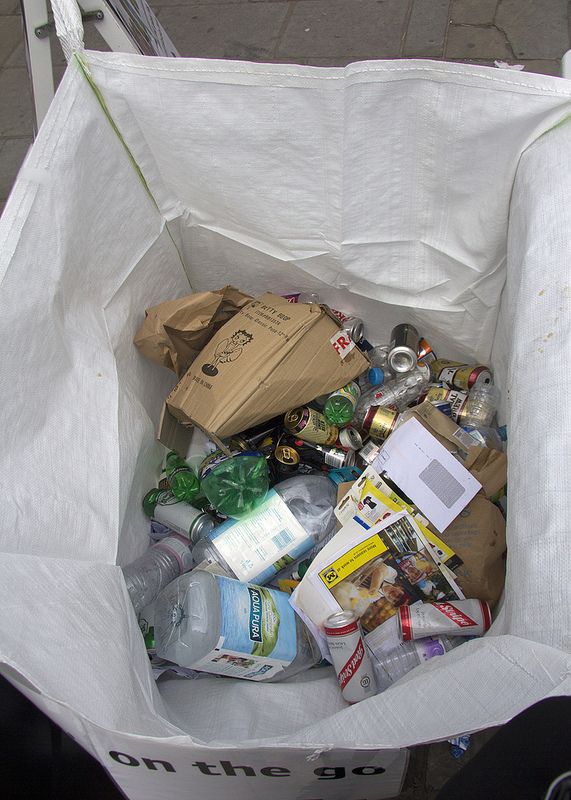 Several different events took place by way of raising awareness of recycling generally, but also to keep putting the message out that the Council are now able to recycle more materials such as beverage cartons, shredded paper, textiles and mixed plastics on top of the usual paper, cardboard, cans, plastic bottles and glass. As part of the acivities, we took a group of pensioners from the Lewisham Pensioners Forum to the materials recycling facility (MRF) so that they were able to witness at first hand how all the various materials were separated and sorted using an efficient mechanised process that also includes a great deal of hand sorting. As well as this, Council staff took out its recycling trailer twice during the week to the Lewisham shopping centre where a builders bag was used to collect ‘on the go’ recycling from the commuters and shoppers who were out and about in the high street. As well as collecting cans and sandwich packs, there were also a lot of plastic bottles collected. This was also an opportunity to engage with our residents to promote the recycling of plastic bottles and to answer any queries they had about recycling and waste issues generally. Some of the items collected in the builders bag from shoppers and commuters. Whilst these activities were taking place, we had also been in touch with an art organisation called Platform-7 to organise another event that we wanted to take place during Recycle Week. The event was called Deluge (see story further down) which took place at the old Blockbusters store in Rushey Green, Catford. The focus here was on the ‘politics of the videocassette, obsolescence and recycling. 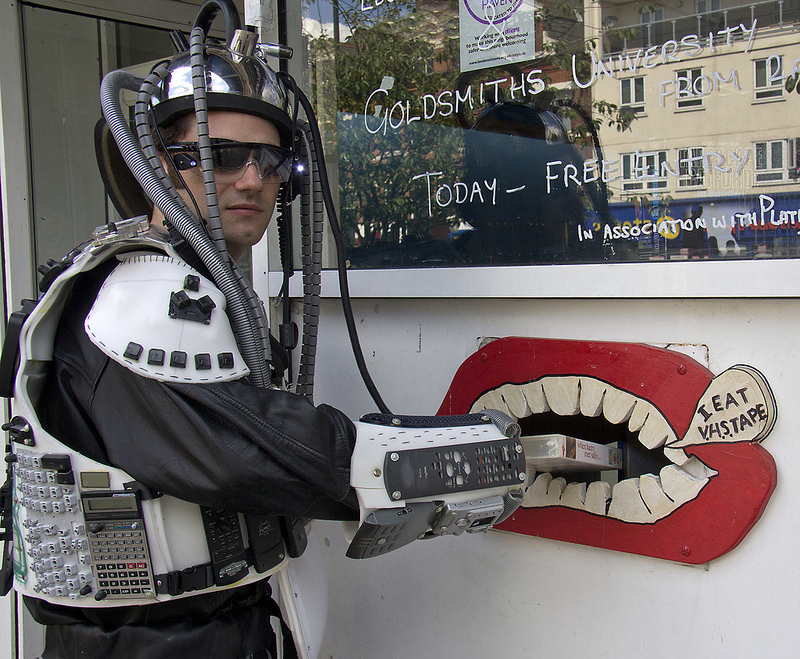 ‘ Academics from Goldsmiths University gave mini lectures on obsolescence and packaging. 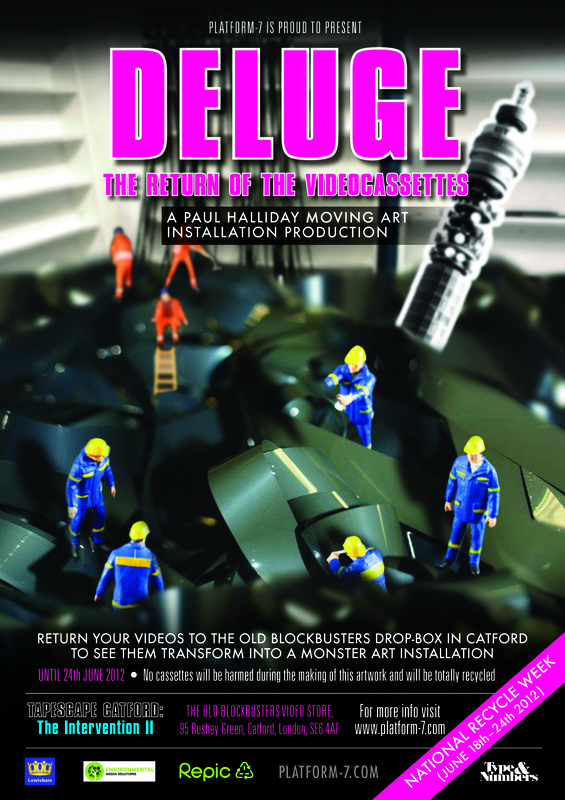 Paul Halliday, a lecturer from Goldsmiths was exhibiting his art installation at the Blockbusters store. This was a large spooled out mass of video tape from around 600 old video tapes that were collected as part of the project. Whilst Platform-7 were using the disused shop (courtesy of Lewisham Council), they were encouraging residents to still use it as a drop off point for all their unwanted videos which people were more than happy to do. Just like the old days. Looking at the the mass of spooled out tape was like staring at an advancing oil slick in the large open space of the Blockbuster store. The spooled out tape from 600 video tapes. More were collected and will be recycled. The Council also called upon the services of WEEE Man who turned up to promote the collecting of waste electrical and electronic equipment (WEEE) . As well as using Blockbusters for collecting video tapes, it was also being used as a drop off point for old electrical waste and several items of WEEE were collected as part of this. The spooling mass of tape could be seen 24 hours a day through the window with the night lights and assisting fans giving the installation a different look in the dark evening. The drop off point for video tapes. WEEE Man drops off his old Terminator films. All tapes, items of WEEE, the recyclables collected in the builders bag in the high street will all be recycled at the end of Recycle Week. Categories: community engagement, Environmental Campaigns, Mixed Plastics, plastic bottles, recycling, Tetra-paks, Uncategorized, WEEE | Tags: Art installation, Blockbusters in Catford, Deluge, Goldsmiths University, lewisham high street, Lewisham Pensioners Forum, Lewisham Shopping Centre, National Recycle Week, National Recycle Week 2012, Paul Halliday, Platform-7, Recycling in Lewisham Shopping centre, Recycling trailer, Video tape recycling, Video tapes, WEEE, WEEE man | Permalink. Bring your old video tapes and electronics to the old Blockbusters, Rushey Green, Catford. 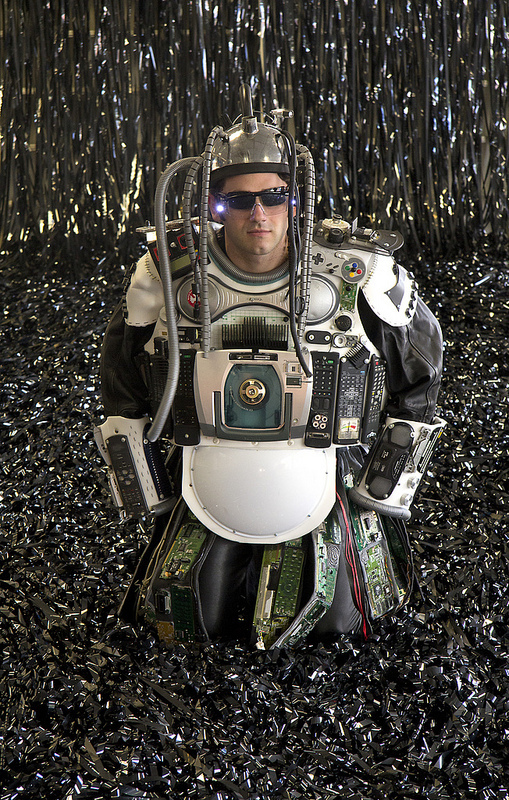 Categories: WEEE | Tags: Art installation, Blockbusters in Catford, Deluge, National Recycle Week, Platform-7, recycle week, Recycle Week in Lewisham, VCR, Video tape recycling, Video tapes, Waste Electrical and Electronic Equipment, WEEE, WEEE man, WEEE waste | Permalink.